Debate is prevalent about the best models for English§Language Learners (ELLs) to learn English and reach§high levels of learning. Much research has shown§that bilingual students'' literacy proficiency in§their first and second languages is interdependent§across languages. Students learning to read in one§language transfer the knowledge and skills of the§reading process to read in another language. 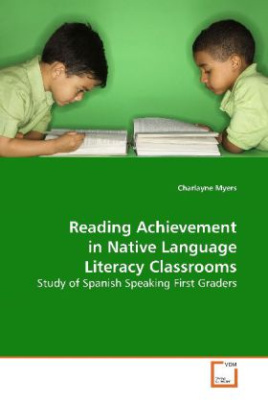 §This study was motivated by questions about how well§Spanish-speaking students learning to reading in§Spanish, an important first step in attaining§cognitive academic language proficiency in Spanish,§also read in English. Sixty-three first graders from§three native language literacy programs were assessed§in both Spanish and English. These students were§receiving literacy instruction in Spanish native§language literacy classes.§This analysis sheds light on native language literacy§students reading in their first language and in§English and should be especially helpful for§educators and researchers working with native§language literacy students and programs.